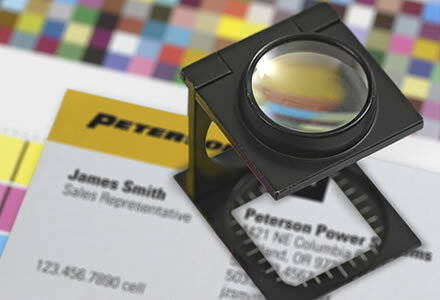 Peterson Business Materials from Citizen Printing, Inc. Thank you for visiting Peterson Print Orders. All Peterson employees can now order their own business cards here! All other materials must be ordered by the Procurement Team. Order Peterson Business Cards by clicking the business card above. Please contact the Peterson Procurement Department to place an order for other printed materials. Contact your Peterson Procurement Department to place an order or Citizen Printing for questions regarding production or shipping!